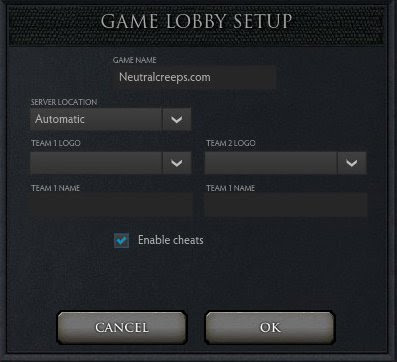 Cheats in Dota 2 can be enabled via the Game Server Settings. Check the Enable Cheats checkbox. Gives 999 gold. You can change 999 to any number you like. Levels your hero to 25. Instantly revives your hero from death. Gives your hero full HP and mana, refreshes skill cooldown. Spawns creep waves for both Radiant and Dire. Levels all bots to 25. Disables creeps from spawning. Use -enablecreepspawn to disable this command. Removes cooldowns and manacosts for skills. Use -unwtf to disable this command. Remember that these are all Dota 2 single player cheats. They won't work in multiplayer mode. LoL I went Trolling With These Cheats. I Was on a private lobby but no one else realised i had cheats on. Fun Began When Rosh Died and the other team had a panic spaz. Yes that is EXACTLY what trolling is. 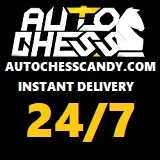 This works for the bots as well, not just the player. LOL i summoned like 30 roshans to my enemies base then my friends were like wtf? how i can use them i have tried to open console but my console wont open ... maybe because im on dota 2 test?